Wind Turbine Syndrome | “The Next Terror”: Coming soon to a field or ridgeline near you! *What, if anything, is the difference between these two “Infrasonic Fear Generators”?. Click here for website. This thing is . . . real! Read the text describing infrasound! Yikes! They got it . . . right! 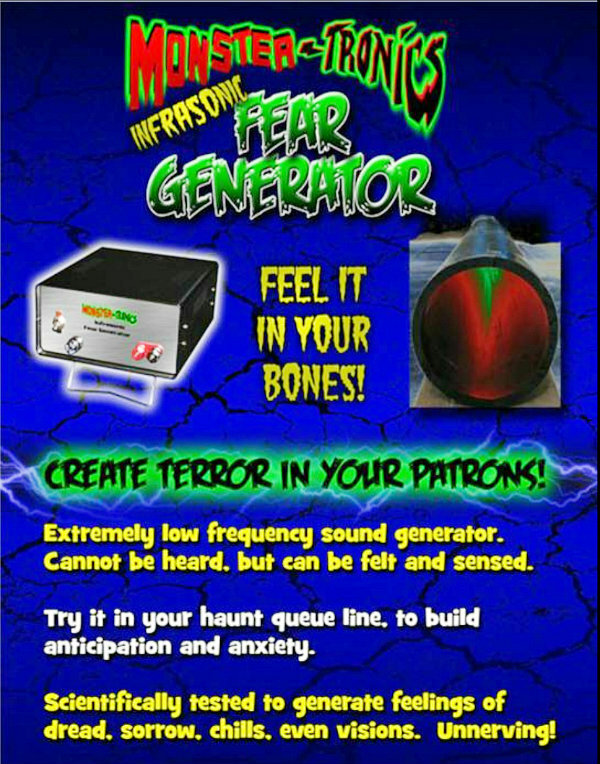 The Infrasonic Fear Generator is the first commercial product of its kind. 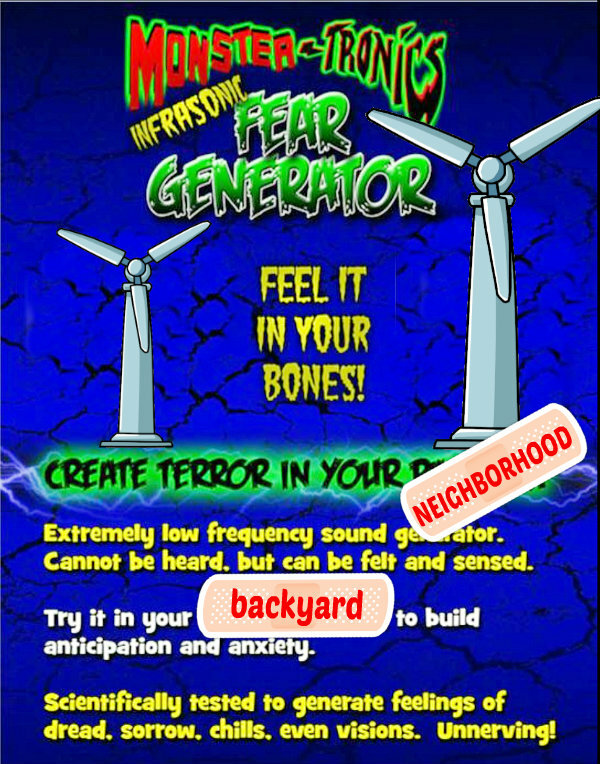 Simply put, the Fear Generator can cause a range of strange feelings, anxiety, sorrow, chills, unnerving feelings, heightened emotions, including visions and vibrations in the chest and other parts of the body, in a large percentage of people. Infrasound refers to extreme bass waves or vibrations, with a frequency below the audibility range of the human ear. Even though these waves can’t be heard by us, they can be felt and sensed and have been shown to produce a range of effects in some people. One of the best places to put the Fear Generator would be near your wait line, where anticipation and anxiety start to build naturally. *With thanks to Eric Rosenbloom of National Wind Watch, who brought this monstrous device to our attention. This is a sick reality and my life will never be the same because of it…..this is my take on Industrial Wind…..